A virtual telesummit can be a fantastic way to get your list started, make high-level contacts within your niche, and instantly become an authority on your topic! In this episode we’re going to break down how to create a virtual telesummit! So, what is a virtual telesummit? Essentially, it is a series of typically 15-30 recorded (or live) interviews with experts on a related topic, bundled into one package that customers can purchase (or receive for free, depending on your model). The best place to start when planning is with your anchor speaker. This is going to be a highly influential person in your niche. The key to securing your anchor speaker is there has got to be something in it for them. Perhaps they are allowed to promote or sell on their interview, where others may not be. Another significant factor in “looking the part” is you have to have great graphic design. Your design is one way speakers are going to judge whether they are interested in participating if they don’t know you. As you’re securing your speakers, you want to select a monetization model. For our summit, we are choosing not to charge for the speaker content. Instead, we are creating an additional bundle of fantastic products from us and other speakers, worth over $10,000, and we are selling that product for $97. Every penny of which will be going to charity! For us, and perhaps for you as well, when we making it about charity and about fundraising, it creates a far bigger purpose than just making it about ourselves. Your goal should be to create the biggest “buzz” possible around your summit. That can happen from your own efforts, the efforts of your speakers and affiliates promoting, and in our case, we are going to promote the fundraiser on the platform Indiegogo, which is a well-known crowdsourcing platform. Most entrepreneurs approach situations and decisions with a “what’s in it for me” attitude. However, when you approach a project like how to create a virtual telesummit, and you ask yourself, what’s in it for the speakers? What’s in it for the charity? What’s in it for the customers who purchase the course? Suddenly, you have a very different perspective on how to approach the entire project and plan. And, that’s what it’s all about. 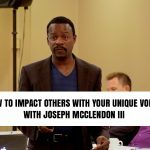 How can you add value to others? If you got some great tips and inspiration from this episode, please leave us a comment below and tell us what you loved! Watch “Podcast Launch Strategy” HERE!